Kalejaiye, RCCGSpecial Assistant to the General Overseer on Evangelism of the Redeemed Christian Church of God (RCCG), Pastor J.T. Kalejaiye, has harped on the need for Christians to pray more and remain steadfast in their service to God. He made this call at the three-day Greater Warri for Christ crusade, held from June 22 to June 24, 2018, organised by the RCCG, Region 23, Delta State, where thousands of Christian faithful across the state defied the downpour to receive salvation, healing, deliverance and breakthrough. The crusade with the theme: Wind of Change had in attendance, Pastor in Charge of the Region, Pastor E.A. Kalejaiye; regional evangelists, pastors in charge of provinces and their assistants; national officers; pastors in charge of zones, among others, and was held at the Urhobo College, Warrri. He prayed for the federal and state governments, as well as the people of Delta State, stating that ?I am assuring that the state shall prosper after this crusade. Peace, unity, breakthrough and prosperity shall abound in the state and its environs, and the divine progress that comes from above will come upon the state.? 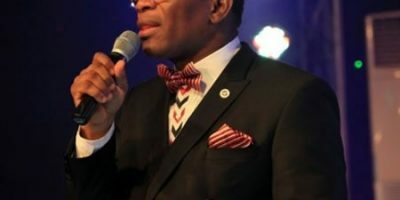 While hundreds of worshippers surrendered their lives to Christ and many testimonies were recorded, the duo of Evangelist Onyeachobnam Ifeanyichukwu and Evangelist Chioma Jesus, ministered in songs at the crusade ground.